"Boy, that looks like fun, Ethan...I wish we could do it too!" More to come on Saturday's game! ooo fun! 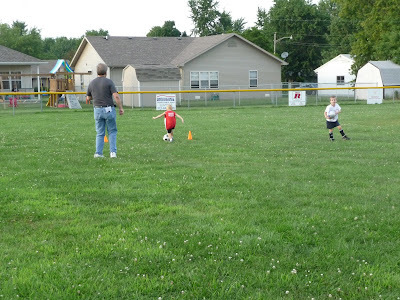 i loved soccer at this age and can't wait to sign amelie up! Looks so fun, Caden can't start until next summer but he is ready. 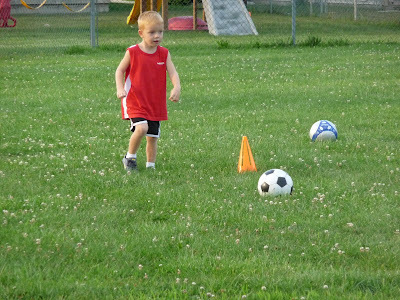 Cory already kicks the ball around out back with him now. Glad to see you got pictures up and running! He looks so SERIOUS in that last picture! I miss little kids' sports. They can be so funny to watch! As long as you don't take it too seriously, it is a great thing for kids. This year, I get to watch Bubber play the "other" football! He's so funny in all his equipment. 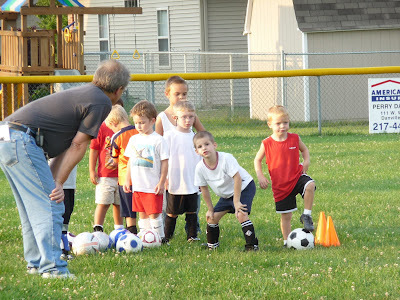 I love soccer at this age. Here in Calgary we do our outdoor season end of April to end of June. 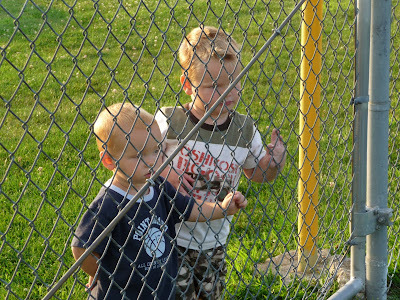 My kids love soccer. Looks like Colin is going to have fun. He is so cute! 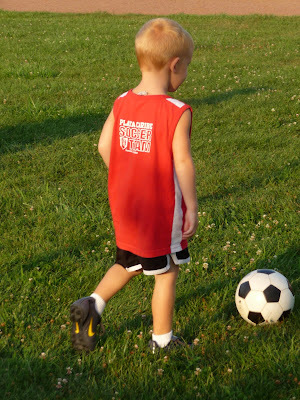 We want to put Reese in soccer next year. We'll see. Does he really like it? Looking out for his brother? Yes, boys, go ahead....you can touch it! !